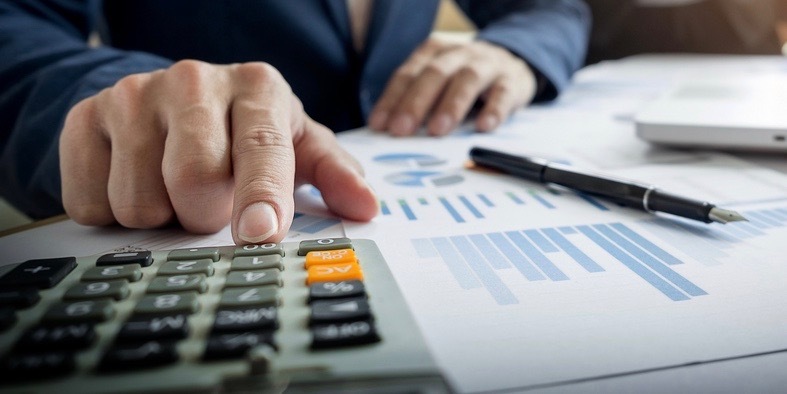 Keeping on top of your money is a vital task for any small business, even if it isn’t always the most fun or easy thing on your to-do list. Thankfully, the days of relying on a cash register, paper receipts, and a ledger are behind us. Instead, there are a wealth of digitally savvy merchant services providers and point of sale (POS) machines out there that operate in the cloud, make online and offline purchases easy, manage inventory, and can even give you analytics on your sales performance. Dharma Merchant Services is among these providers, and can help you find zen when managing your store’s money. Most writeups about merchant services, including a Dharma Merchant Services review, will focus on a few core features. Chief among these are usually their ease of use, customizability, and whether or not they play nice with other programs you might use to manage other elements of your business. The best merchant services providers will offer you all of these and more, which means that Dharma Merchant Services will only work for you if it can cover these bases. Thankfully, we’ll make it easy to decide whether or not Dharma Merchant Services is the right fit for you. We’ll dive into the Dharma credit card process, Dharma merchant services fees, and other details about integrations that can help you make an informed decision. Even if getting paid and keeping track of payments isn’t a ton of fun, we’ll at least help you decide if Dharma Merchant Services is the right option for you. What Is Dharma Merchant Services? In order to understand exactly what Dharma Merchant Services is and what it offers, we have to dive into what makes a merchant services provider first. A merchant services provider (or MSP for short) is a company that helps retailers process credit card transactions. This means in-store swipes, online payments, or a combination of both. MSPs typically offer their client companies credit card machines, POS terminals, and online credit card transaction processing. Some provide the underlying software for transactions, letting customers choose their own hardware. MSPs fill a vital role in the commerce space. Without them, businesses would have to rely on cash or check payments, and could not process all of the credit card transactions that make modern businesses hum. MSPs provide the underlying architecture that debits your customers’ credit cards, getting you paid while letting your clientele have a broader variety of payment options. Dharma Merchant Services provides the back-end software to help power your small business’ abilities to accept credit card payments. They provide the technical backbone required to have your credit card reader communicate with your customers’ card providers, getting you paid easily. Dharma focuses on small businesses that conduct more than $10,000 in credit card transactions per month, and offers transparent pricing and features that help make a complex system easy to understand for their clients. Dharma Merchant Services has some of the most affordable pricing of comparable MSPs. There’s no fee to get started, making it an affordable option with less of a barrier to entry for most businesses. Dharma charges a modest $25 fee to cancel service if you decide that it’s not the right solution for you. Other than that, you’ll only pay a monthly $25 fee in addition to the transaction costs that come with use of the system. The Dharma Merchant Services system shines when it comes to transaction and interchange fees. Every time you conduct a credit or debit card transaction, the card issuer charges you a fee. So does the MSP. You typically can’t get around paying a credit card company fee, but each MSP offers their clients different fees, which means that one MSP might give you a better deal than the next. Dharma Merchant Services has a low fee rate, particularly when compared to its competitors. And, since they’re all about transparency, Dharma outlines their fee structure right on their site, which varies depending on the kind of business you run. If your business is primarily online or over the phone, you’ll pay 0.20% of the transaction total every time you make a credit card sale, plus a flat $0.10 fee. If you run a brick-and-mortar storefront, those charges drop to 0.15% of the transaction total on top of a flat $0.07 fee. The restaurant rates are the same as their storefront rates as well. If you opt to accept American Express, Dharma has you covered there as well. Their American Express fees are higher (as is the case with most MSPs), but not by a staggering amount. Dharma Merchant Services charges 0.40% of the transaction amount, as well as a flat $0.10 fee every time a customer pays with an American Express card. All told, this isn’t much higher than Dharma’s regular fees, and it’s completely up to the customer to decide if they wish to accept the card at their business. If you sign up with Dharma Merchant Services, you’ll also have to pay a $20 monthly fee for as long as you remain a customer. But if your company processes more than $100,000 in credit card transactions per month, Dharma does offer reduced rates. If this applies to you, it’s worth reaching out to the Dharma team up-front and letting them know more about your business. There are a ton of great reasons to use Dharma Merchant Services as your MSP of choice. They pride themselves on being honest with their pricing, transparent about their business model and how they make money, and are socially conscious in their mission statement. Plus, they do a really great job of supporting customers and offering best-in-class technology. Dharma’s performance and costs make them a great fit for businesses that conduct at least $10,000 a month in credit card transactions. They provide clear and easily accessible information about all of their pricing on their site (and we mean all—there are no hidden or surprise fees in the Dharma Merchant Services environment). Plus, they don’t charge for little things, such as PCI compliance or batch fees. Another great mark in Dharma’s favor is the platform’s flexibility with different POS providers. Dharma does not require customers to purchase custom, proprietary POS machines and terminals. Instead, the software works with several existing POS systems, which allows you to pick the solution that works best for you. Dharma Merchant Services promotes the Poynt Smart Terminal on its website, but it also works with Clover, Aloha, Micros, Shopify, Squirrel POS, NCR Silver, and many others. Here’s a full list of the POS systems Dharma supports. Last (but certainly not least) is Dharma’s commitment to ethics, sustainability, and giving back. The company is up-front about their commitment to doing good while doing well, opting to work with sustainable and minority-owned vendors whenever possible. They’ve also donated more than $100,000 to a variety of charities, and dedicate a percentage of their yearly profits to philanthropic goals every year. Dharma also empowers their employees to give to the charities of their choice to the tune of $5,000 a year. Least of all, Dharma also offers discounted pricing to nonprofits. For all of the great reasons to pick Dharma Merchant Services as your MSP, there are a few (but not many) downsides that can’t be ignored. The first is the company’s barrier to entry in terms of monthly processing charges. If your business conducts less than $10,000 per month in transactions, Dharma is too big for you to use yet. The company sets a hard minimum here, which can preclude many early-stage small businesses from using the platform. If you’re not conducting most of your transactions via plastic, you might need to look elsewhere. Another Dharma drawback is that it requires customers to set up different accounts for online/telephone transactions and retail payments. You can manage both accounts easily, but need to separate each transaction type. This may be an inconvenience worth navigating, however, since online pricing is less expensive than brick-and-mortar costs. You’ll end up saving money in the long run, even if it means dealing with the initial hassle of setting up two different accounts. 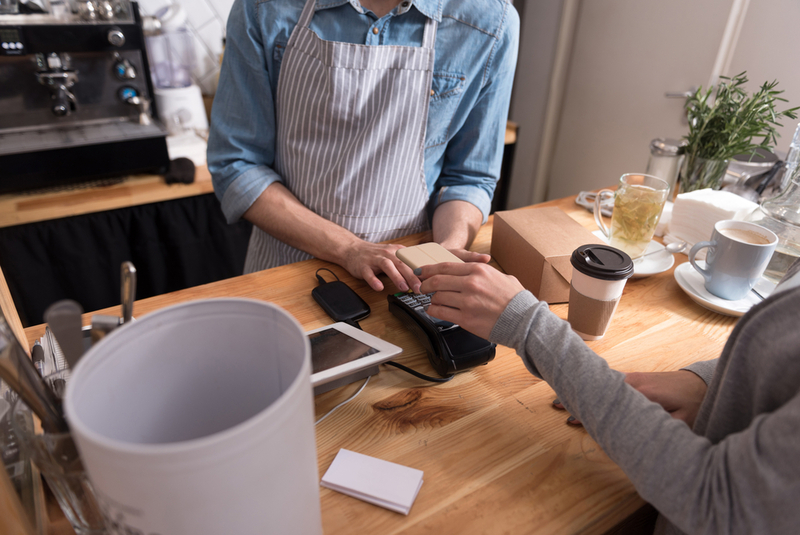 If your small business doesn’t quite qualify for Dharma’s transaction limits, or if you’re averse to setting up separate accounts for online and in-person transactions, the good news is that there are plenty of Dharma Merchant Services alternatives out there for you to consider. Here are a few of the top Dharma Merchant Services alternatives to pick from, each with different pros and cons. We’ve covered Braintree Payments here before, and find the platform to be a great solution for most small business owners. Braintree integrates seamlessly with your existing website for hassle-free ecommerce, and even offers a virtual sandbox for prospective clients to test out their software before committing as a customer. Plus, Braintree makes it easy to customize their services to fit within your existing technology stack, meaning you don’t need to completely restructure the rest of your business’ tech in order to use the service. That’s not all that Braintree Payments offers, however. The platform also gives each user its own unique merchant account, rather than bundling several payments from various clients into one account. This is a safer alternative to other providers that save costs by piling different transactions together. Plus, Braintree supports traditional payments through credit cards, but it also allows customers to use Venmo, Apple Pay, Google Pay, PayPal, and other regional digital payment systems. The service supports more than 130 currencies worldwide as well. Cayan’s been a player in the MSP space for a long time. The company, first known as Merchant Warehouse, opened in 1998 and changed its name to Cayan in 2015. Two years ago, Cayan was acquired by TSYS, a legacy merchant services provider that has been in business since 1959. So if you want to partner with a company whose roots run deep, Cayan might be the option for you. Cayan offers a cloud-based channel that supports ecommerce, mobile, and retail payments. The Genius platform supports several terminal and card reader options, and can be customized for your business through a variety of implementations. Plus, like Dharma, there are no early termination fees if you decide that Cayan isn’t the right fit for you. Square has perhaps the most name recognition of our list of Dharma Merchant Services alternatives, as well as among other MSPs out there. That’s true for several reasons, chief among them being the platform’s uniquely simple POS solutions, and its ubiquity among small businesses. Square provides free credit card readers that integrate with most (if not all) mobile devices. So long as you opt to use Square’s POS software, you won’t encounter any setup or monthly fees, either. Square also offers attractive transaction pricing, as well. Square fees range from 2.5% to 2.75% on top of a $0.10 charge for each transaction processed. Granted, this isn’t nearly as cheap as Dharma’s fee structure, but Square’s lack of monthly fees and lower transaction threshold make this an attractive option for small business that may not hit Dharma’s high minimums. Square is a straightforward option for small business owners who want to get started easily, and for whom simplicity is a must. 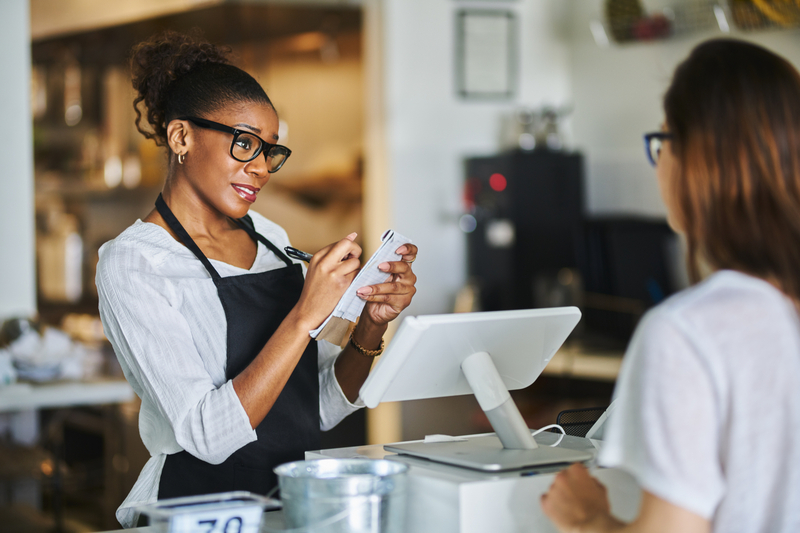 There isn’t a ton of good karma in the world of merchant services, which is predominated by hidden fees, charges, and nickel-and-dime expenses that make credit card acceptance a nightmare. But Dharma has karma on its side, offering customers a clear and easy-to-understand pricing model. The company prioritizes its simplicity and affordability as it intentionally demystifies the fees and payments that a small business owner would encounter as a customer. Plus, their platform-agnostic software system allows business owners to use the POS of their choosing. All told, Dharma Merchant Services offers a great service at a great price, so long as your business meets the $10,000 monthly transaction limit.